This activity can be done both in the gym as well as the classroom. Geared towards grades K-8. 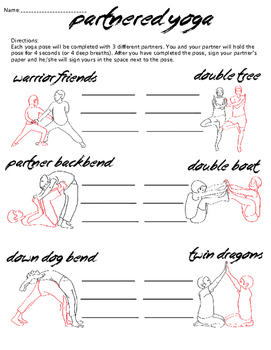 This worksheet includes 6 yoga poses for students to complete with a partner.